New Ulm’s German heritage is our biggest draw, but these events and activities shown below will give you great photos and posts on Social Media! From the hip to the frozen, gnomes to bluegrass, we host great music, tasty food and lots of fun every year! This restored hotel from the mid-1800s features free music every Friday and Saturday. Musical styles are in the range of folk, blues, light rock, jazz and other. You can access the attached restaurant, too! In addition to great wine, they have developed a fun tourism following for their “Wine Down for the Weekend” events Friday nights and twice-monthly “Jazz Nite!” An outdoor oven makes great pizzas! The brewery has a great winter festival filled with over 5,000 fun-loving young people enjoying music, food and, of course, Schell’s beer! When it closes at 4:30pm come to the German Mardi Gras fun at Turner Hall, called Fasching. Join the “Parade of Costumes” if you dare! With a professional director, this home-grown group has ramped-up their offerings with many shows during the year. They specialize in “murder mysteries,” but tackle many styles of theater. 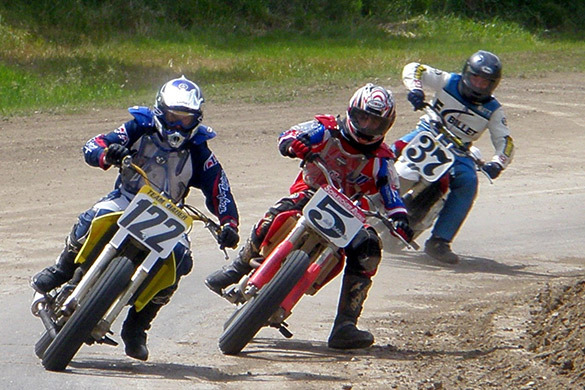 New Ulm’s long-lived motorcycle club, The Flying Dutchmen, host several cycle events at their lovely club house and grounds throughout the summer that are open to the public. Flat-track races and hill climbs are their specialties, but they host rock bands on occasion, too. It’s great fun for everyone! New Ulm's biggest party of the summer happens the 3rd weekend in July! The weekend-long celebration of German Heritage and culture takes place at the Brown County Fairgrounds. A German & American music festival with numerous bands, activites, contests and don't forget German grub! In the shadow of the 102-foot monument at Hermann Park and below at Harman Park, you can find live German music, dancing, German & American food and of course Schell's Beer and 1919 rootbeer on tap! Check out the Thunder In The Valley by the New Ulm Battery and New Ulm Municipal Band (cannon shoot with 11 guns!) and stay for the Fantastic Fireworks over the Hermann Monument at dusk. This fall festival happens every year on the Saturday after Labor Day. Our Oktoberfest has been rated one of the best in the Nation! Molded after one of the world's largest celebrations, held for several centuries in Munich, Germany, New Ulm's version takes place the first two full weekends in October with festivities happening all over town! There are 4 main locations that include our historic downtown, the Best Western Plus, Schell's Brewery and Morgan Creek Vineyards! Use the hashtags #newulm and #germanshavemorefun to share your posts and follow along!